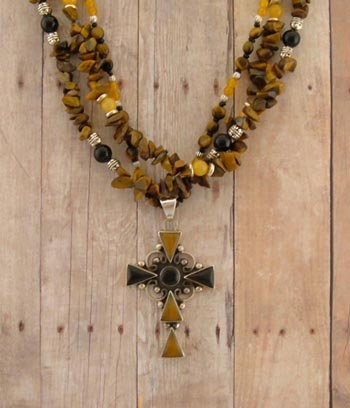 All Western Designer Jewelry is not created equal! 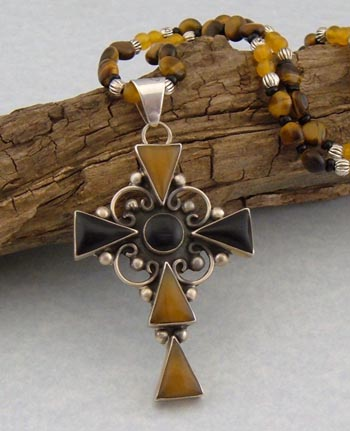 It's said the Tigereye brings you insight, luck and protection, and allows you to be aware with one's own needs related to the needs of others. 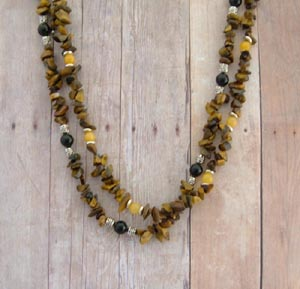 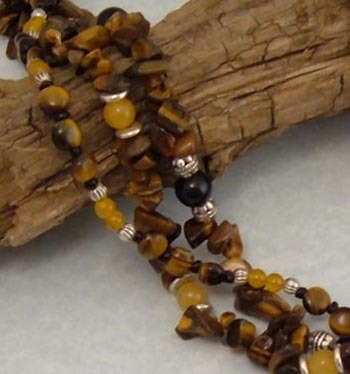 This necklace is made of Tigerseye, natural yellow honey jade, golden quarts,and black onyx gemstones accented with silver and jet seed beads. 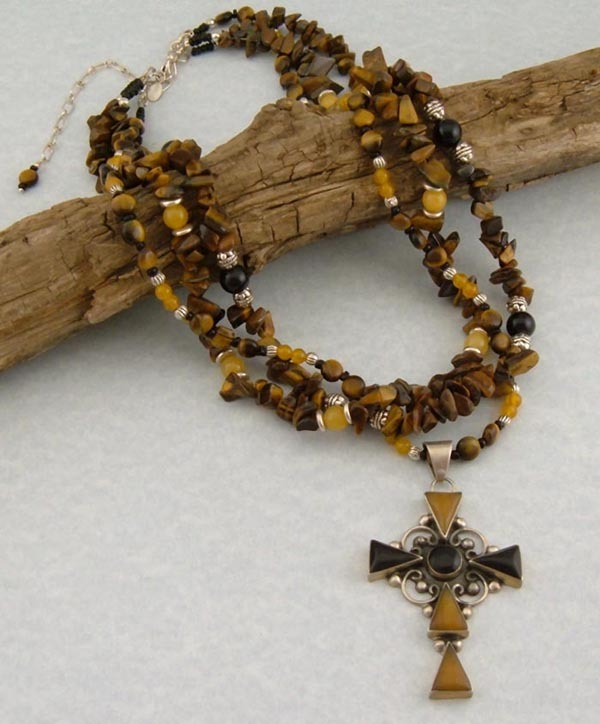 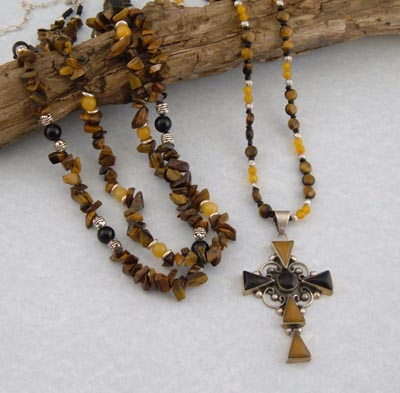 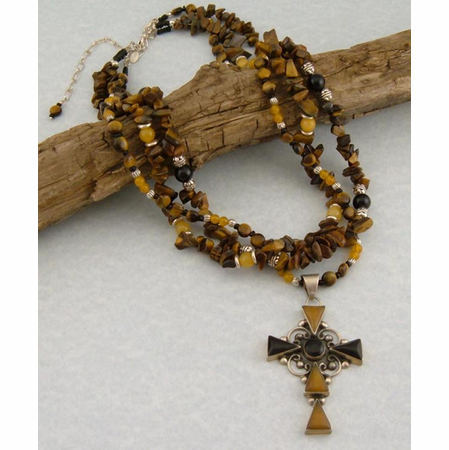 Cross pendant is onyx and old amber set in sterling silver. 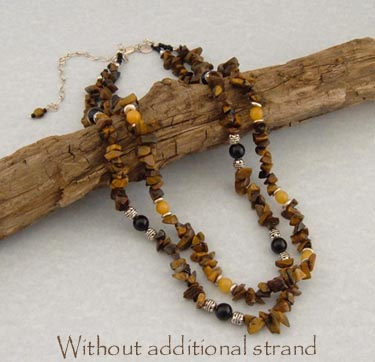 The surprise; this necklace may be worn with or without the pendant, two or three strands. 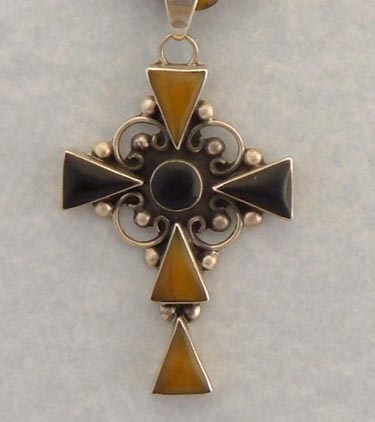 Or the pendant may be worn on its own single strand. 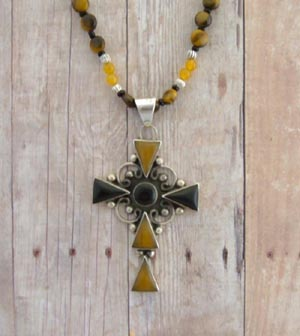 The pendant is also removable, giving you even more ways this necklace can be worn.